These common-sense rules will keep us all safer and create a better rapport with windsurfers and surfers. 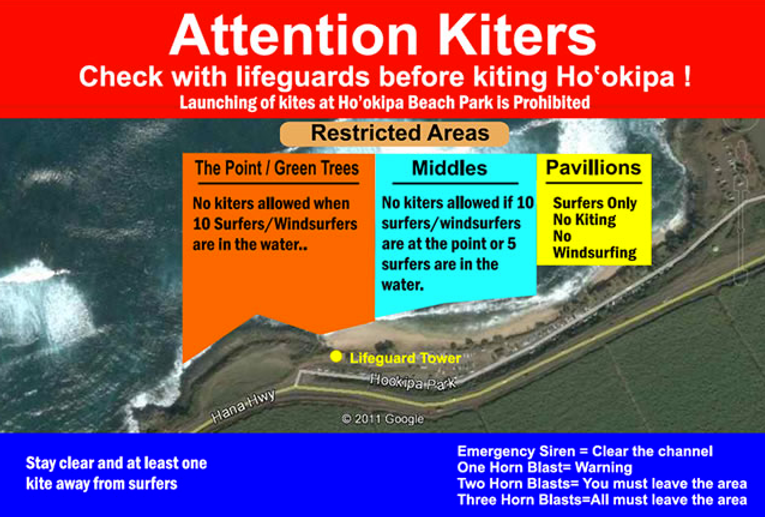 Be aware of the potential dangers at Ho‘okipa! The wave is powerful, the lineup is small, and the rocks are close.